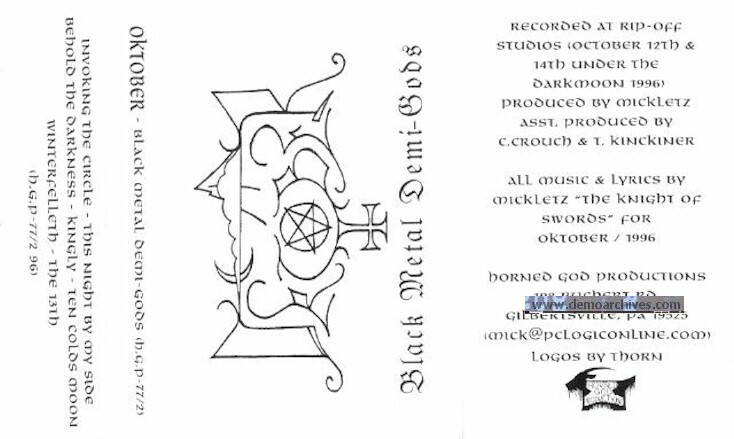 Oktober was a black metal band from Gilbertsville (USA). 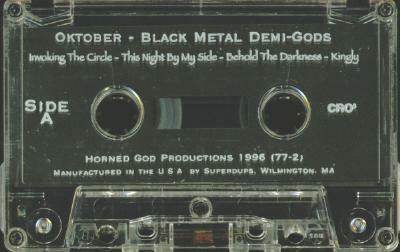 They released two demos in 1996 called "Autumn Kingdom" and "Black Metal Demi-Gods", and a third in 1998 called "Heathen Pride". Professionally made cover and tape.